The 1971 Reunion Committee's hard work paid off! 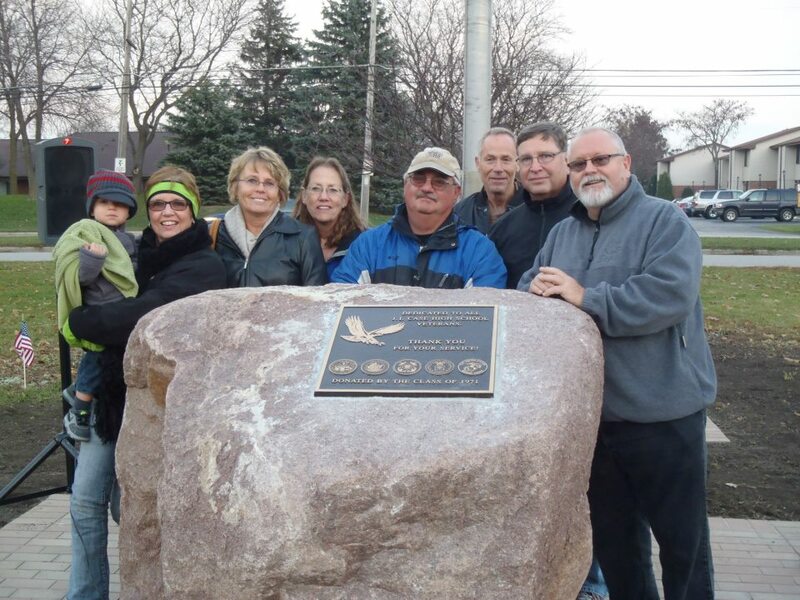 L-R: , Brenda Hammill-Thomas, Candy Ackerman-Zicarelli, (Ernie) LaVern Quella-Mulder, Jim Priaulx, Tom Cook, Chuck Brandt and Terry Storbeck presenting J. I. 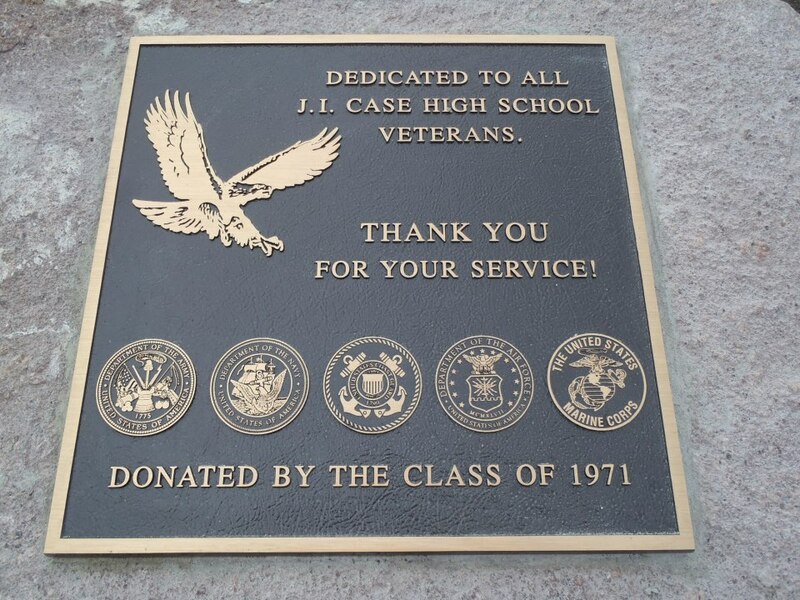 Case High School's new veteran memorial and walkway. 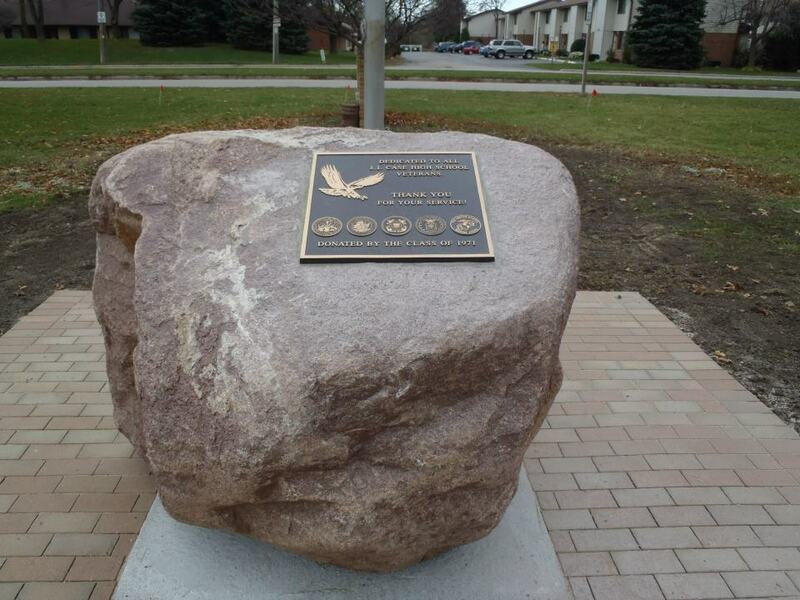 A new walkway and monument honoring the service of J.I. Case High School Alumni veterans was completed and presented at a special ceremony on Thursday, November 8, 2012 at 4:00 p.m. at J.I. Case High School. The walkway and monument are a tribute to patriotism of these alumni and is intended to memorialize the sacrifices endured by Alumni veterans and their families in service to the country. The 1971 Alumni Reunion Committee sponsored the event. The walkway will have bricks engraved with veteran’s names. 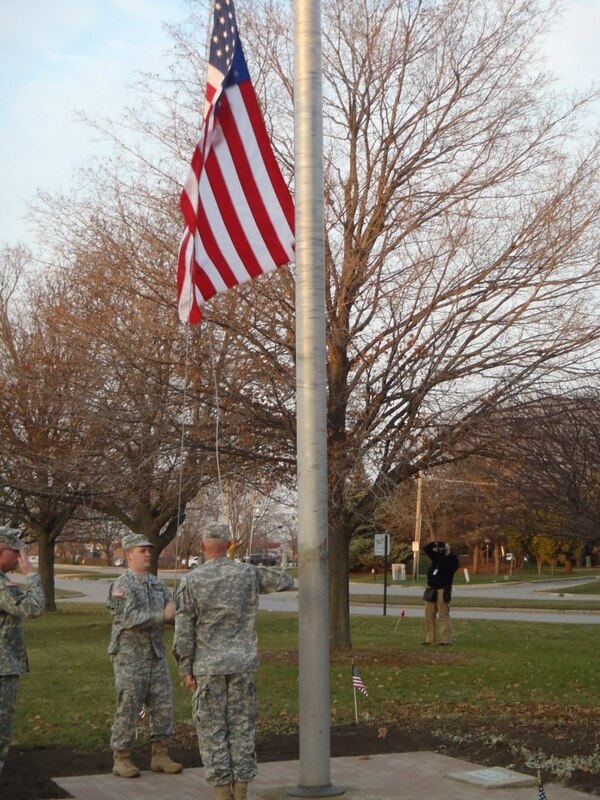 Both the monument and the walkway are located at the flagpole on the school’s east side. 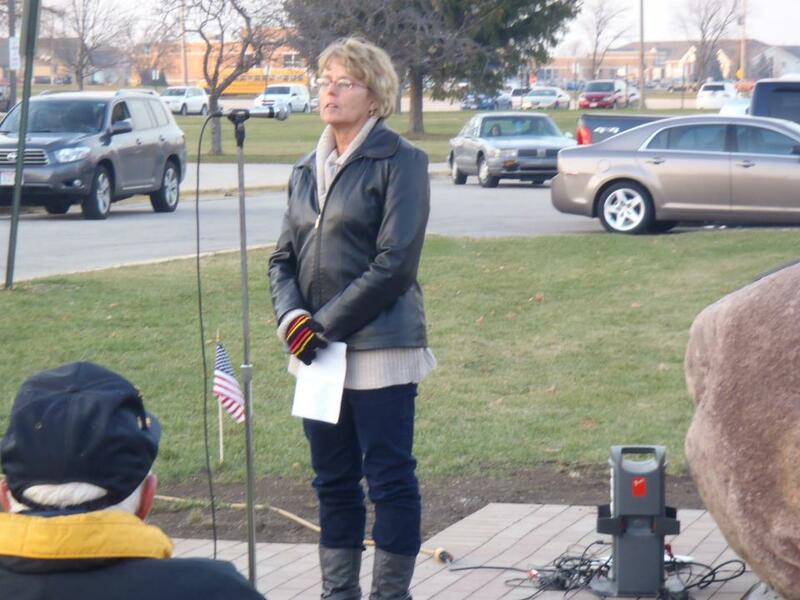 In attendance were elected officials and dignitaries from local and county organizations, military leaders; veterans, and students and staff. Various alumni veterans are having their name, branch of service and year of graduation etched into individual bricks. The bricks will be sold for $50 each and the walkway contains 1,500 of them. The proceeds will be used for upkeep of the memorial area. So far, 18 alumni bricks are embedded in the walkway, with another 25 being prepared. 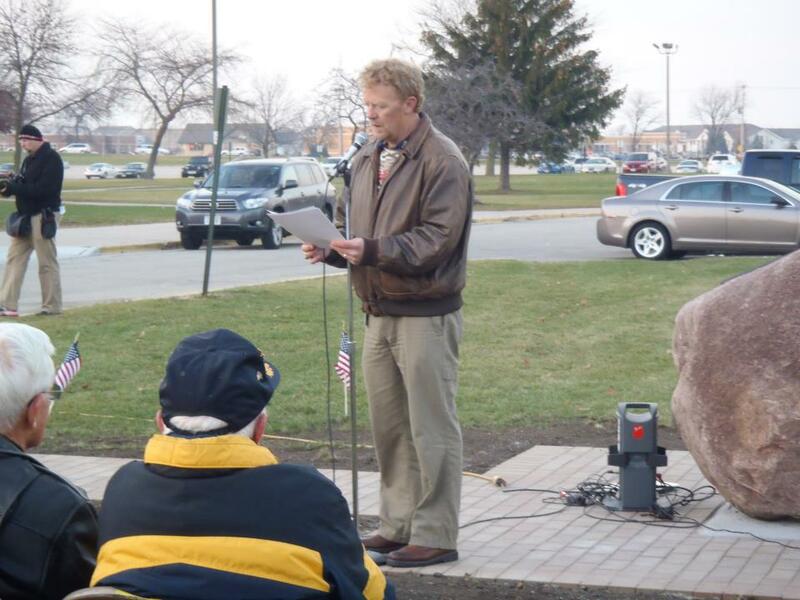 Social studies teacher Mark Petersen (a six-year U.S. Navy veteran)falso helped to make this dedication ceremony possible and will help sell bricks to raise needed funds. If you are a veteran and would like to become part of this wonderful tribute or if you would like to make a donation to help with this honorable project please click here. Mark Petersen, a veteran and Case High School Social Studies teacher speaks during the ceremony. Mark has been a great driving force behind this project. Thank you Mark! This is what a brick in the walkway looks like. They can be purchased from Mark Petersen. Mark can be reached by phone at (262) 672-8114 or by email at mark.petersen@rusd.org. For more information, see below. 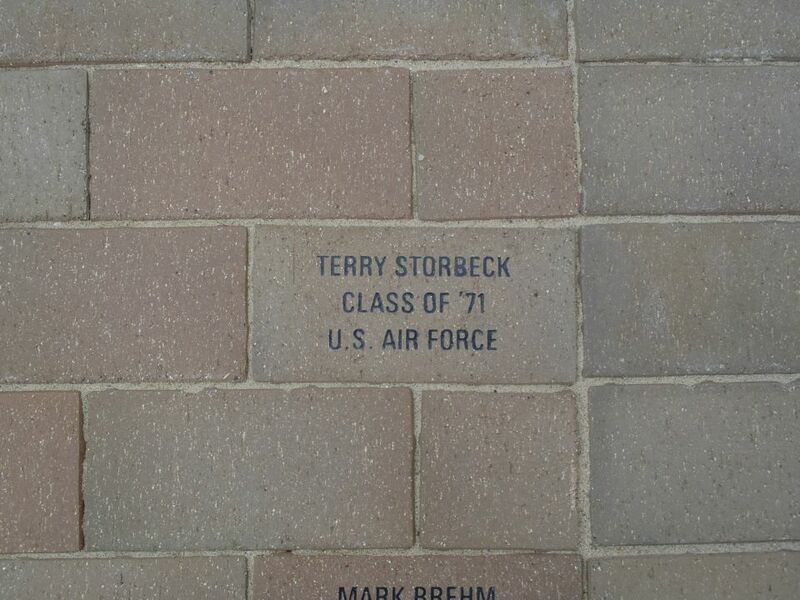 Veterans bricks can be purchased from Mark Petersen. Mark can be reached by phone at (262) 672-8114 or by email at mark.petersen@rusd.org. An 8” x 4” Brick for alumni veterans will be placed at the base of the memorial for a donation of $50. This includes 3 lines, (20 Characters / Line). An 8” x 8” Brick for alumni veterans will be placed at the base of the memorial for a donation of $150. This includes up to 6 lines, (20 Characters / Line). During this time of giving and reflection what better gift could you give to your family or loved one than a gift brick that will give back every time you drive past or visit the school? You can make your check out to either Buckets Pub or Chuck Brandt. Please indicate on the check that it is for the '71 Veteran's Plaque. Also, the reunion committee is trying to collect as many names as we can of the men and women from J.I. Case High School who served in the military...any branch. Please send any information that you may have to Chuck's address above.